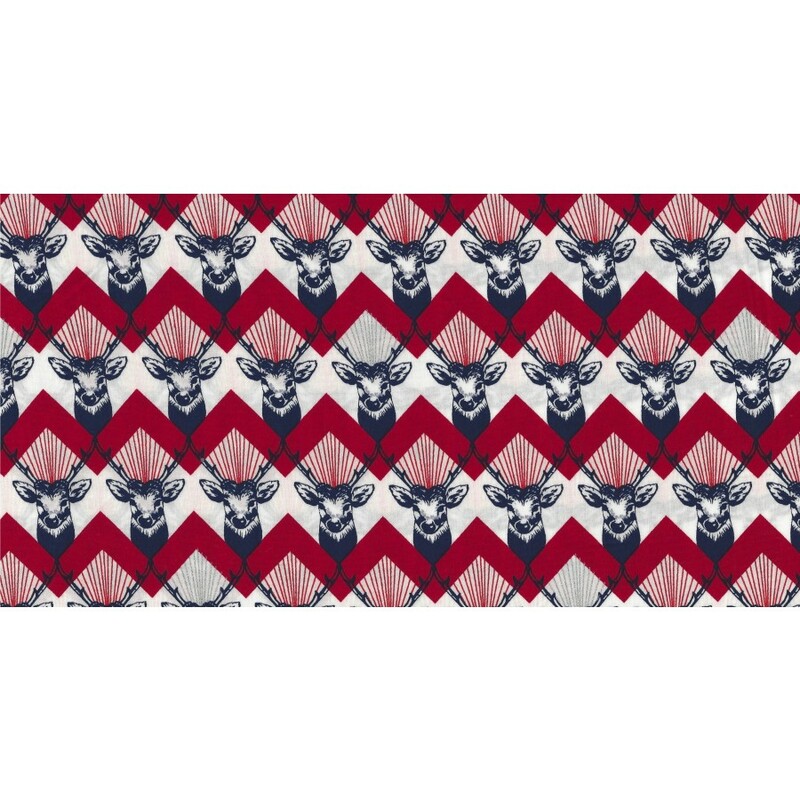 This unique stag chevron design forms part of the Echino Huedrawer Collection designed in Japan by Etsuko Furuya. This collection is printed on a light-weight 100% cotton sateen giving the top side a 'satin' feel but made with cotton instead of silk. Lovely drape which would suit shirts, blouses, dresses and flowing skirts as well as the perfect choice to whip up a men's tie. 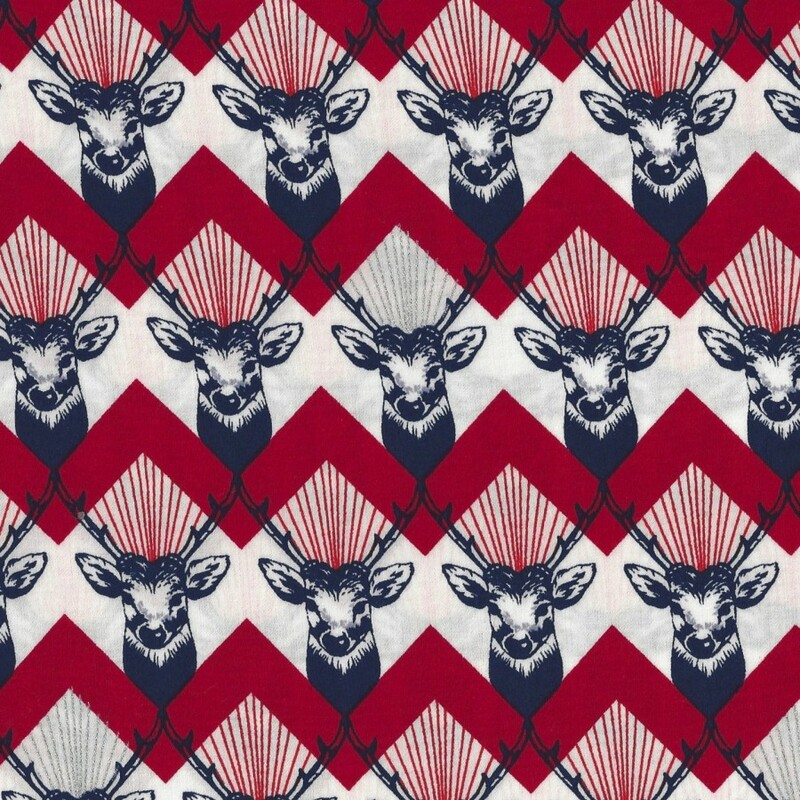 Colour Ink blue and red on creamy white with silver details. 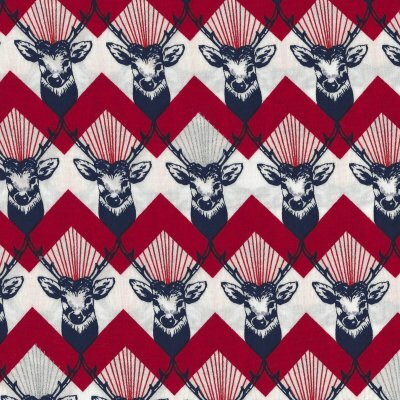 Motif Size Stags 3cm wide x 5cm tall. Chevron stripe approx 1cm thick.